Are Blue Jays games blacked out on MLB.TV in 2017? MLB Opening Day 2017 is just a couple of weeks away on April 3 and many Canadians are wondering about the best way to watch the Toronto Blue Jays this season. Sportsnet will broadcast all 162 games to cable subscribers, but what options are there for those who don't subscribe to cable? MLB.TV is the official streaming service for out-of-market MLB games. What does this mean for Canada? 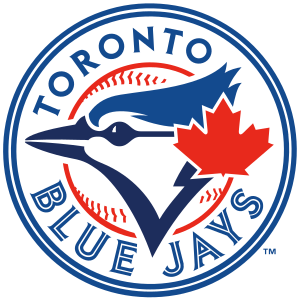 The entire country is the home television market for the Toronto Blue Jays, which means games on MLB.TV are subject to blackouts in Canada. However, the past few seasons, Rogers (who own the broadcast rights) have quietly not enforced their right to blackout Blue Jays games on MLB.TV. Will Rogers decide to enforce MLB.TV blackouts in 2017? We will have to wait and see. In past years they have not communicated about their intentions, and this year is no different. However, some Blue Jays fans on reddit have been assured by MLB.TV that Blue Jays games in Canada will not be blacked out in Canada in 2017. Again, there is not an official announcement from MLB.TV or Rogers regarding blackouts. But based on the above information, it seems likely that Blue Jays games will not be blacked out on MLB.TV in Canada in 2017. Last year Sportsnet made their streaming service Sportsnet NOW available to Canadians as a standalone service for $25/month. This service gives access to all Sportsnet channels. As the official broadcaster of the Blue Jays, you can watch all Blue Jays games on Sportsnet NOW, as well as select other MLB games, NHL, NBA, soccer, tennis, IndyCar, curling, cycling and other sports content broadcast on Sportsnet. See our Sportsnet NOW guide for full information about watching on Sportsnet NOW. It seems likely that Blue Jays games will not be blacked out on MLB.TV for the 2017 season. However with no official word on the matter, you may want to give Sportsnet NOW a try for the first month or two of the season. In past years, MLB.TV has gone on sale for 50% off around both Mother's Day and Father's Day. If you wait until then to subscribe, you will know if Blue Jays games are blacked out this year on MLB.TV, and will get a great deal on the subscription.